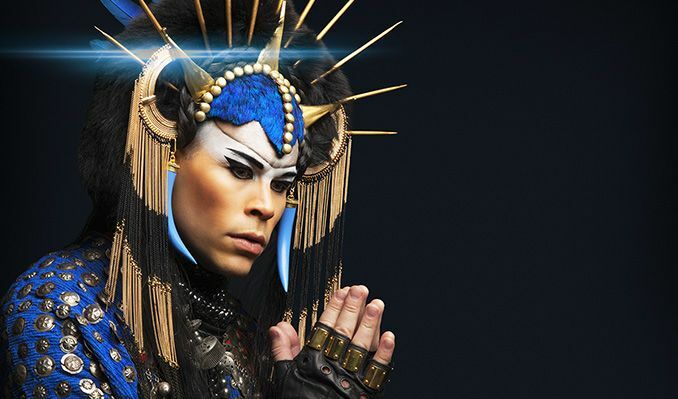 Alt/Electronic pioneer Empire of The Sun has been making waves across the world with phenomenal live shows and anthemic smash hits for the last decade. Across multiple countries, touching more than 100 cities in recent years, Empire of The Sun’s dynamic performances are like nothing else on earth. Empire of The Sun has amassed more than 1.75 billion total streams and has reached multi-platinum status with global singles “Alive”, “We Are The People”, “Walking On A Dream” and “High & Low”. In celebration of Walking On A Dream’s tenth anniversary, Empire Of The Sun re-released their album on a limited-edition vinyl, which included a free download of newly released track “Chrysalis”. The third album, Two Vines debuted at #1 on the US Dance/Electronic Albums Chart and #8 on the US Alternative Albums Chart. The single, “Walking on A Dream,” has more than 210 million Spotify streams and 87 million YouTube plays. Empire of The Sun has more than 650 million streams on Spotify and more than 300 million YouTube views. The last few years have been huge for the band with standout performances at the likes of Coachella, for their third time, Ultra Music Festival, Outside Lands and Governors Ball. The 2015 US West Coast tour culminated in a spectacular sold-out headline performance at the legendary Hollywood Bowl venue in front of more than 17,000 fans.